Most internet users expect the freedom to be able to toggle between Twitter and Instagram with both programs loading at the same speed. However, what many don’t realize is that governmental policies are controlling our access to the internet, including social media. 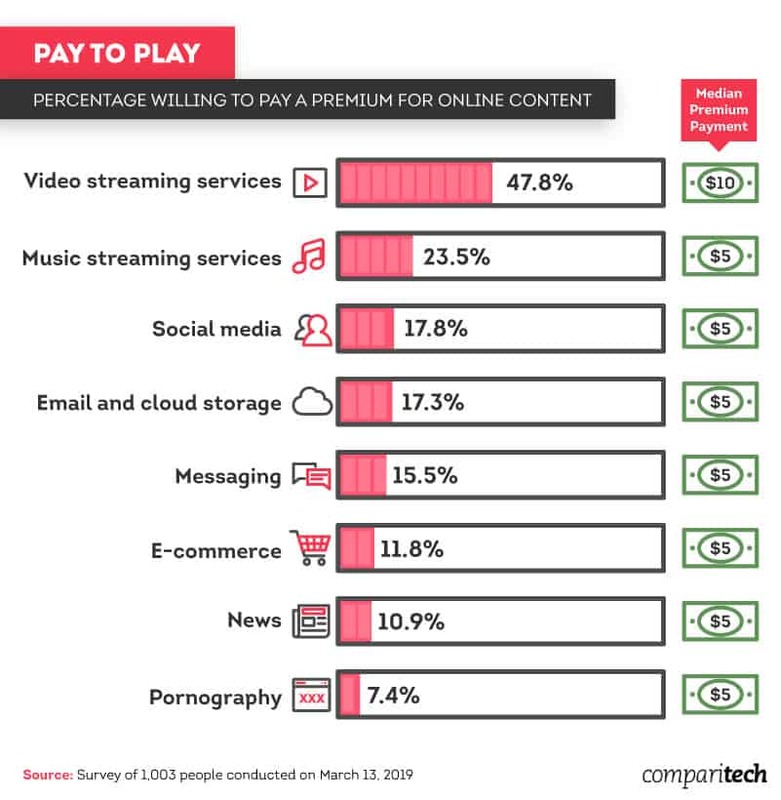 In 2015, under the Obama administration, rules were enacted that prohibited internet providers from increasing charges for specific content or giving certain websites preferential treatment. 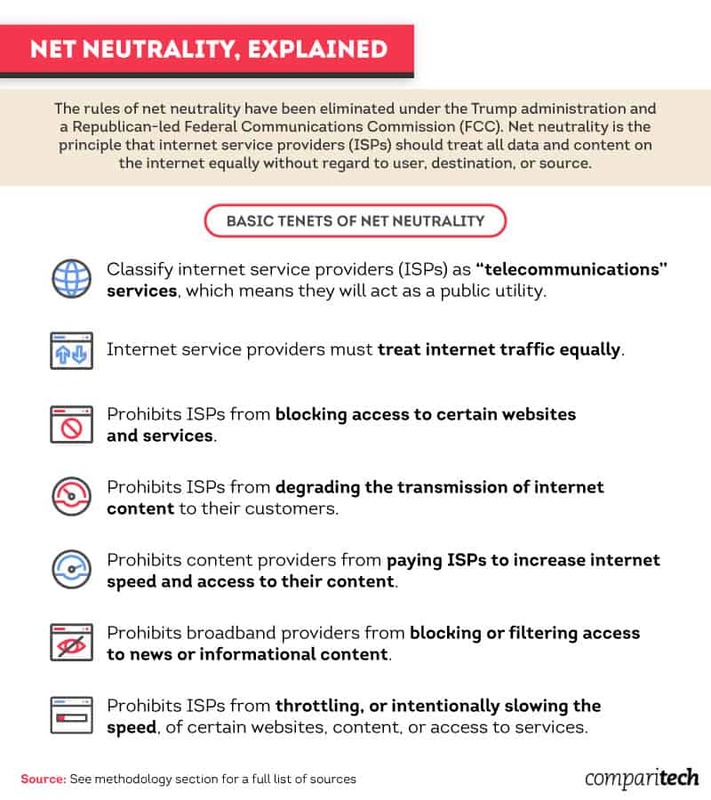 These rules came to be known as “net neutrality” and were quickly taken away after the FCC voted to repeal them in 2017. The repeal ignited a strong reaction from both the public and Democratic lawmakers, many of whom are pushing for the decision to be overturned. So what exactly is net neutrality, and what does its repeal mean for you? How many Americans are knowledgeable about the policy, and how many support it? 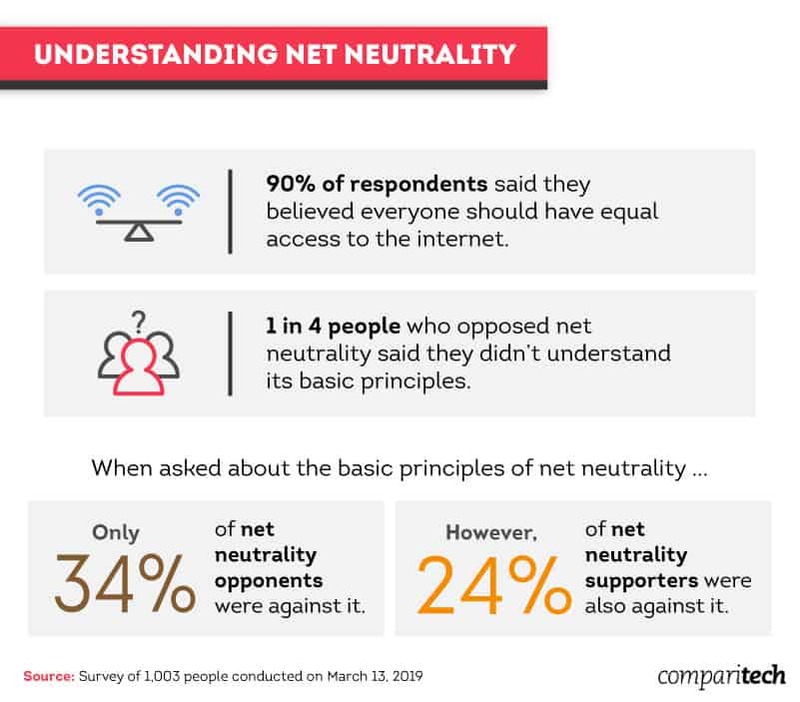 We compiled a list of the basic tenets of net neutrality and converted them into questions to gauge the public’s understanding.Using these questions, we surveyed over 1,000 Americans to measure their familiarity with net neutrality and their positions on the issue. Despite bipartisanship among government officials on this issue, the American public isn’t as split. 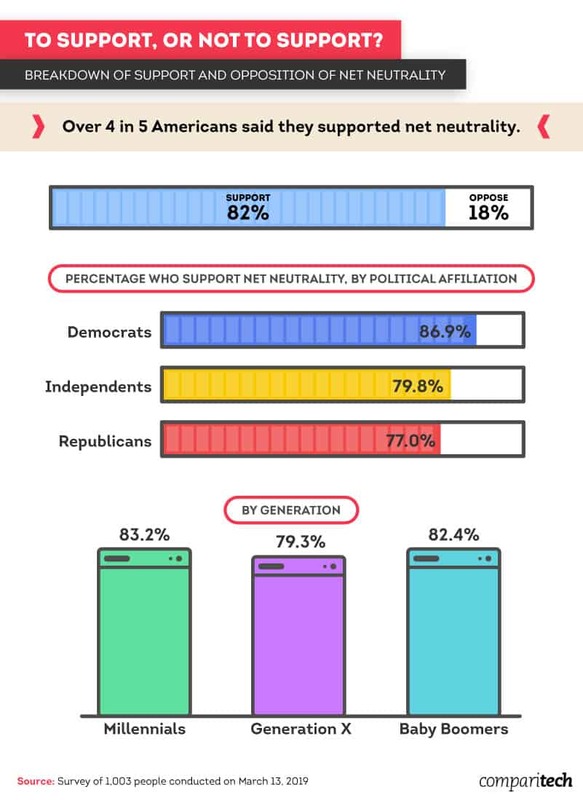 Over 4 in 5 Americans said they supported net neutrality, and the majority of Democrats, Independents, and Republicans were also supporters. 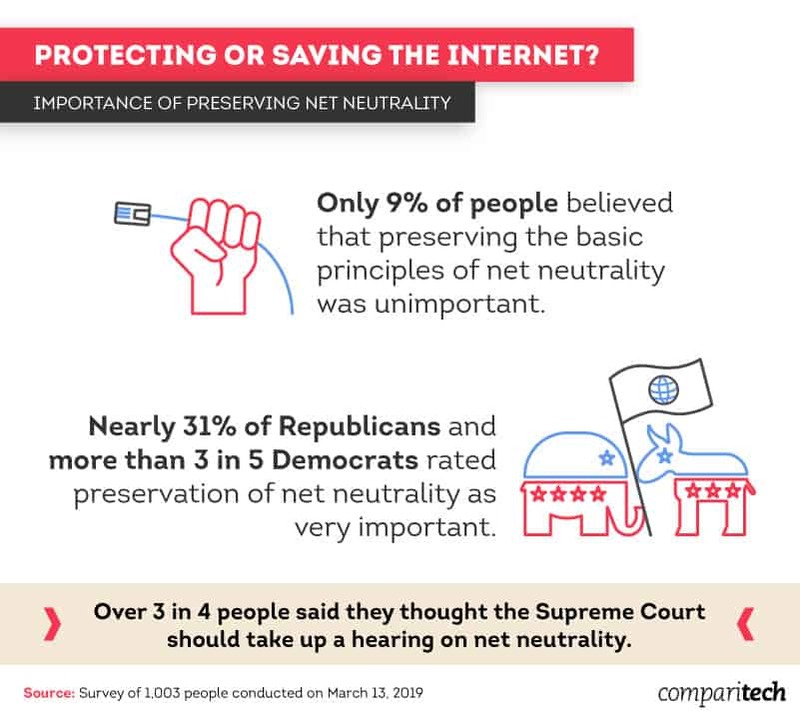 The majority of the American public seems to support net neutrality, despite bipartisanship among government officials. 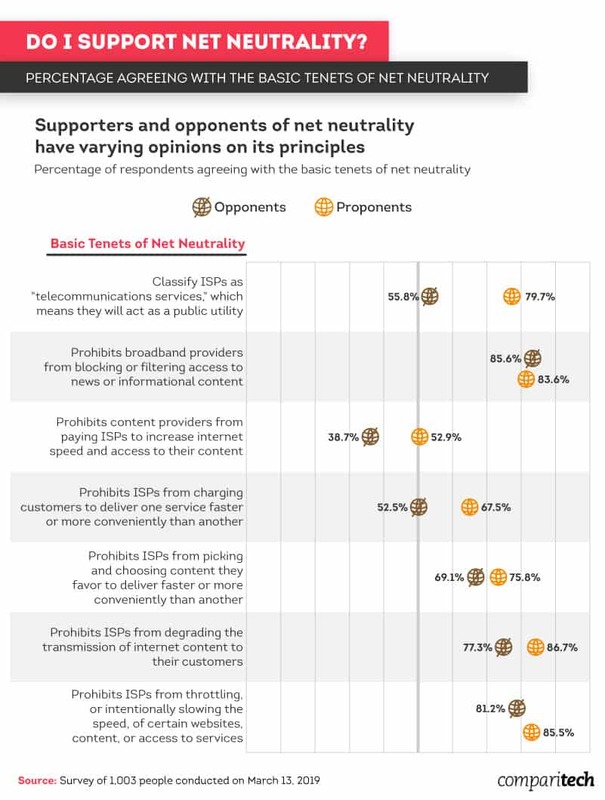 Support, or lack thereof, isn’t necessarily tied to knowledge about the policy, as many can define net neutrality as a starting place. However, when it comes to the potential to pay more for services, some aren’t deemed worthy of a premium payment.